Niles Floors & Blinds specializes in custom Hunter Douglas window treatments, custom blinds, window shades, plantation shutters, hardwood flooring, laminate flooring and carpeting. Niles Floors & Blinds is the proud recipient of the Best of Westchester Award in the hardwood flooring and window treatment store categories two years in a row. Thank you Westchester customers for making this possible in 2016 and 2017! Ask us about seasonal Hunter Douglas savings events so we can help you save on the best window blinds and shades! 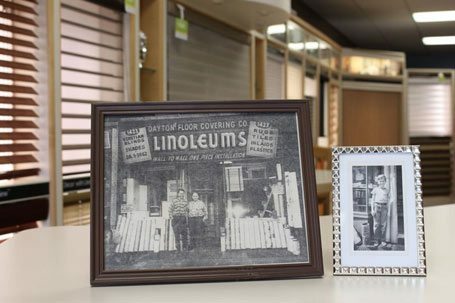 Brothers and Co-owners of Niles Floors & Blinds, Anthony and Pat Viverito love to go above and beyond to get their customers exactly what they want. They proudly offer complimentary design consultations to help you select from their wide inventory to ensure you get the best for your home or office. Is it time for a renovation, redesign or new build? Look no further than Niles Floors & Blinds for your residential and commercial needs today! At Niles Floors and Blinds shopping for custom blinds, shades, or shutters is a fun and stress-free experience. Window treatments are frequently the last home décor item to be purchased in a design project. It's essential they are high quality and tie together all aspects your home or office perfectly. The right window coverings can make a big difference in the overall design of your room setting. Choose from a variety of Hunter Douglas window treatment, blinds and shades that will easily coordinate with your home decor. Flooring is a major investment for any home, that's why you need to be confident in the decisions you make! Niles Floors and Blinds features a showroom full of gorgeous hardwood flooring, laminate flooring, vinyl flooring and tile flooring to choose from. Anthony & Pat will guide you through the process of selecting the perfect flooring colors, finish, and style suitable for your home or office. Whether you have high traffic areas, children or pets, Niles Floors will review all the latest flooring options with you based on your individual needs and room setting. Do you love the beauty of hardwood flooring but aren't ready to commit? When done right, carpeting can add unparalleled warmth and beauty. That's why Nile Floors and Blinds carries only the top brand carpeting names in the industry such as Shaw, Mohawk, Tuftex, and Beaulieu. Are you looking for a wall to wall carpet, throw rugs, or even an area rug? Anthony & Pat will seamlessly help you choose from hundreds of carpet textures, patterns, colors and styles. What to improve the overall look of a particular room setting or your overall home? Hunter Douglas window shades can transform your space. Many Hunter Douglas blinds and shades are light-diffusing so you can minimize harsh sunlight. Elevate the look of your home by choosing soft window shade sheers designed to help you maximize control light and privacy. 1 Luminette® Privacy Sheers, plus a $100 rebate for each additional unit. For more information on the Celebration of Light savings event, contact Niles Floors and Blinds. I recently went to Niles Floors looking to replace my hardwood floors. Anthony suggested cork flooring for its thermal and acoustic qualities. I never would have considered cork. It was a great suggestion! The floors looks absolutely beautiful. I would highly recommend Niles for their flooring knowledge and expertise. I recently relocated to the Hudson Valley and purchased laminate flooring at Niles Floors and Blinds. There are a lot great flooring options to select. Both Anthony and Pat were professional, pleasant and very knowledgeable. Moving is stressful and tiring but Anthony helped to make it a positive experience and I am so happy I went to a long-time, family business who knows what they’re doing…and always with a smile. My husband and I strongly recommend Niles Floors & Blinds to anyone looking to purchase new blinds, carpet or flooring. Pat & Anthony take the time to work with you and help guide you to find the best product within your budget. Their professionalism, knowledge and expertise is second to none. We feel so lucky we found them after dealing with other companies that charge more and provide inferior service and products. It’s so enjoyable and a pleasure to work with Pat & Anthony and we look forward to continue working with them for all our future projects in our home. My husband and I moved to the area in May 2016, owning a home makes you take pride in the way it looks, so after a lot of research, we found ourselves at Niles Floors & Blinds. From the moment we walked into the store, Pat made us feel welcome. His non-pressure approach appealed to us and his knowledge was unbelievable. He listened to what WE wanted and made the perfect recommendation! Because of their professionalism, knowledge and top quality products, they have dressed all the windows in our new home and we are so proud to show them off! Thank you so very much to Pat and Anthony, you are amazing at what you do and my husband and I highly recommend you! Excellent experience from the day I walked into the showroom to the last day of installation. Anthony and Pat were fantastic as they helped us design and pick out great flooring, carpet and blinds. I had a delay in my project and they were more than willing to hold my items at their store until I was ready, making me feel at ease. They were always professional, courteous and friendly during the entire project. Installation was done on time, as promised, and it came out perfect! Better than I could have ever expected. My whole family is ecstatic about how everything turned out, especially my daughter who is getting ready to move in to the new condo. You know how you always have issues with renovation projects….not with these guys. I wish they could have GC’d my entire project! Any flooring or blinds need, you will be very glad you choose Niles. I highly recommend them and will definitely use them again in the future. Get ready to experience the best room darkening window blind available in the window treatment industry. The new Duette® Honeycomb Shade with LightLock™ has the capabilty to provide you with total room darkening experience. Duette® LightLock™ has no light gaps on the sides of your blinds or window shades. Finally, the best night sleep you deserve wih Duette® blackout blinds. The windows in your home are the backdrop to your interior décor and can change the ambiance in any room. Create a warm and welcoming atmosphere to celebrate this season festivities with your family and friends. Contact us to schedule your FREE design consultation at 914-737-6780. Hunter Douglas motorized blinds move according to your lifestyle. Raise and lower all the window blinds in your home or office anytime of the day or night. Simply tap a button on your favorite mobile device or use the pebble remote control to operate all your window shades simultaneously. Preset times to lower or raise your shades while you're home or away. Hunter Douglas PowerView® Motorization is so intuitive you can even use your home speaker devices to raise or lower your blinds. Use a simple voice command on Alexa or Google Home to move all your window shades in any room. PowerView® Motorization allows you to have peace of mind with the ability to control your shades via app while you're home or away. Niles Floors & Blinds carries a wide selection of flooring solutions. From Hardwood flooring, eco-friendly cork, vinyl planks to pet-friendly carpeting, plus many more flooring options to consider. Do you have a tired worn out floor in your home? Are you undergoing a renovation project? Have you considered flooring options that will be suitable and comfortable thought the changes of season? Niles Floors & Blinds has the answer to your flooring needs. Established for over thirty years, Niles Floors and Blinds is a family-owned & operated business in Mohegan Lake, New York. Mr. Pat Viverito, Senior was an expert in flooring, blinds, carpeting, and tile. His sons Anthony & Pat are now carrying on the family tradition of excellence. Anthony & Pat enjoy working with customers in the Shrub Oak, Peekskill, Mahopac, Somers, Putnam Valley, Cortlandt Manor, Yorktown, and surrounding areas. Anthony and Pat offer a one-on-one personalized shopping experience you won’t find anywhere else. You can visit the showroom to see all our inventory on display or schedule a shop-at-home appointment. Appointment times are flexible to meet your needs. With so many options, the Viverito brothers will help you narrow down your choices at Niles Floors & Blinds. If you’re not sure where to start, you’ve found the perfect place. Visit the showroom or call today.